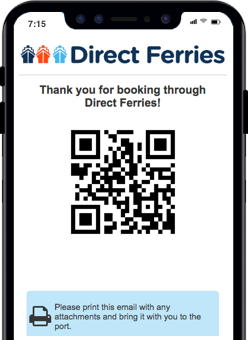 The Bay of Plenty Resort Denarau ferry route connects Matacawalevu Island with Fiji. Currently there is just the 1 ferry company operating this ferry service, Awesome Adventures Fiji. The crossing operates up to 7 times each week with sailing durations from around 4 hours. Bay of Plenty Resort Denarau sailing durations and frequency may vary from season to season so we’d advise doing a live check to get the most up to date information. Found on the inside curve of the horse-shoe-shaped Matacawalevu Island, the Bay of Plenty is perfect for both those looking to escape the bustle of busier holiday resorts and those wanting an active holiday experience. 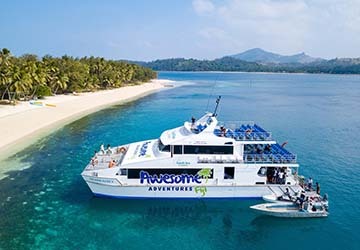 Awesome Adventures Fiji offer seven weekly sailings from the bay to Denarau. What’s there to do in Bay of Plenty? This largely uninhabited isle is home to just two quaint coastal villages, Vuake and Matacawalevu Village, that sit at opposite ends of the south-facing bay. Both villages are rich in the colourful local culture and are shadowed by the steeper inland climbs that rise towards the Fijian skyline. The resort is the ideal place to sample local food, culture and fantastic Fijian hospitality. The port is nothing more than a designated area of the beach, and as such does not have any facilities beyond those offered at the nearby resort. Due to the lack of roads or public transport, the port can only be reached on foot. What services run from here? Currently only one service operates from the port at the Bay of Plenty Resort. An Awesome Adventures Fiji line leaves the bay a number of times throughout the week, heading the short voyage south to the port town of Denarau on the mainland coast of Fiji.